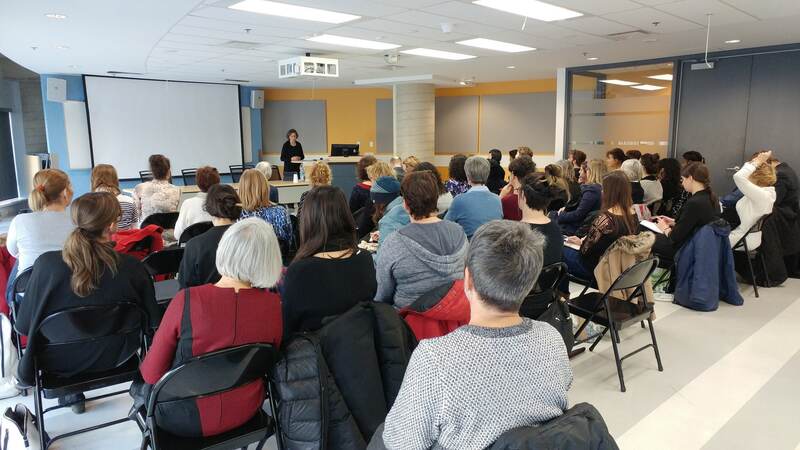 In fall 2017, a research report entitled Intervention novatrice auprès des femmes en état d’itinérance : l’approche relationnelle de La rue des Femmes [An innovative intervention in aid of homeless women: La rue des Femmes’ relational approach] was unveiled at the Université du Québec à Montréal. Undertaken in partnership with the Protocole UQÀM/Relais-femmes, the Institut de recherches et d’études féministes (IREF) and the Groupe de recherche sur l’inscription sociale et identitaire des jeunes adultes (GRIJA), this report confirms the effectiveness of the approach developed by La rue des Femmes. during supervision meetings with a psychotherapist. The intervention approach adopted by La rue des Femmes is focused on relational health. This relational approach is characterized by universal acceptance, unconditional love and relational care and therapy adapted to the needs of each participant. La rue des Femmes offers training in relational health and interventions to establishments that request it. For example, training sessions were provided to security agents working at the Grande Bibliothèque in the winter of 2018. © 2019 La rue des femmes. All Rights Reserved. Web Agency Vortex Solution.